View cart “Solitary” has been added to your cart. Giora Romm was the Israeli Air Force's first fighter ace. As a twenty-two-year-old lieutenant he shot down five MiGs during the Six Day War of 1967. Fourteen months later over the Nile Delta, an Egyptian missile exploded beneath the tail of his Mirage IIIC. Within moments Romm found himself hanging by the straps of his parachute, with a broken arm and a leg shattered in a dozen places, looking down from 10,000 feet. Solitary is Romm's story of his imprisonment, torture, interrogation, release, and return to service. Solitary is not a "war book." It's not a tale of heroism, though if anyone ever qualified for that distinction, it is this story's author. Solitary is not even, in its deepest parts, about captivity or imprisonment. Solitary is about Romm's inner war. 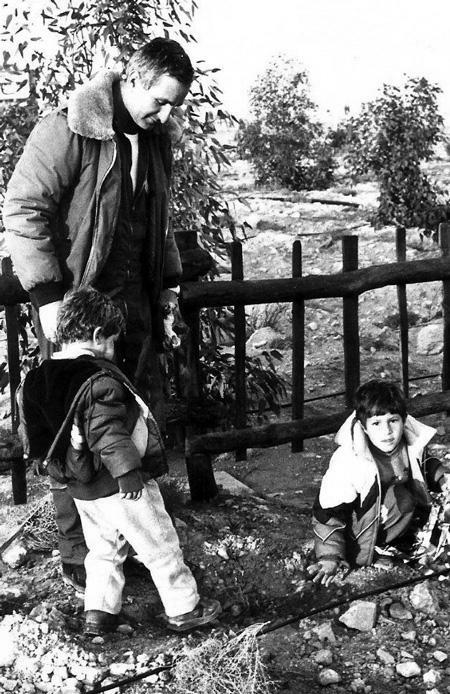 Giora Romm was the Israeli Air Force’s first fighter ace. As a twenty-two-year-old lieutenant he shot down five MiGs during the Six Day War of 1967. Fourteen months later over the Nile Delta, an Egyptian missile exploded beneath the tail of his Mirage IIIC. Within moments Romm found himself hanging by the straps of his parachute, with a broken arm and a leg shattered in a dozen places, looking down from 10,000 feet. Streams of farmers and field workers converged below onto the spot toward which his chute was descending, with the intention, he was certain, of hacking him to death as soon as his feet touched the earth. No other Israeli pilot had survived capture in Egypt or in any other Arab state. 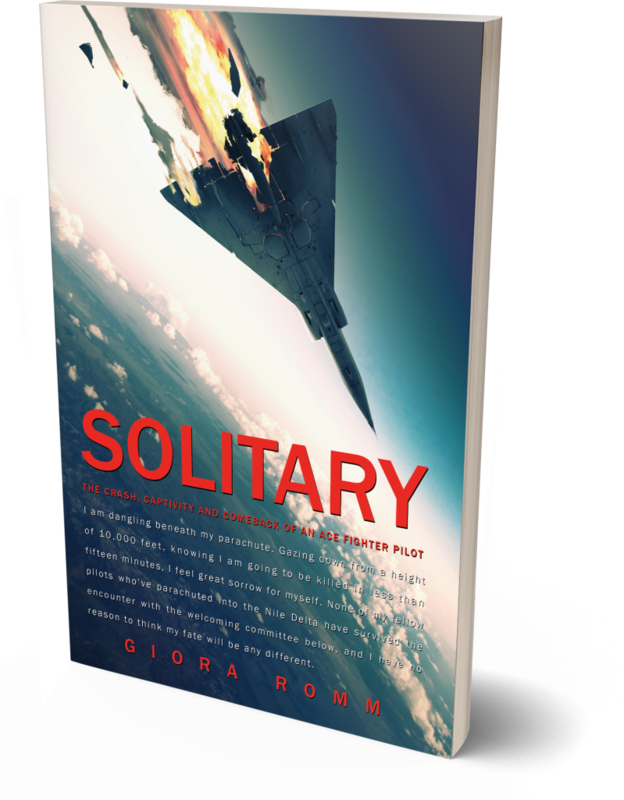 Solitary is Romm’s story of his imprisonment, torture, interrogation, release, and return to service. Solitary is not a “war book.” It’s not a tale of heroism, though if anyone ever qualified for that distinction, it is this story’s author. Solitary is not even, in its deepest parts, about captivity or imprisonment. Solitary is about Romm’s inner war. It’s the story, in his phrase, “of a fall from a great height,” not only literally but metaphorically. Romm could not tell his captors the truth about who he was or what he had done. He had to invent an entire fictional biography and keep it straight in his head through months of beatings and interrogations, all the while being held in solitary confinement with his body sheathed from chest to toe in a plaster cast. Solitary is not a grim book. It’s full of wry humor, keen self-observations and revelations. An ordeal such as Romm endured is a sojourn in hell, but it is also a passage. Romm fell, and he came back. Solitary is his indelible account of confronting, as few of us ever will, his own fears and limitations, and discovering, ultimately, his capacity to survive and to prevail. Major General Giora Romm (Israel Defense Forces, Ret.) served in the Israeli Air Force for thirty-three years as a pilot, senior commander and staff officer. His last two positions in the IDF were Deputy Commander of the Air Force and, thereafter, Israel's Military Attache to the United States.